Hanne and fellow AF Alum Zach Oren interviewing someone at the LAX protest against the seven nation no-fly list in January. 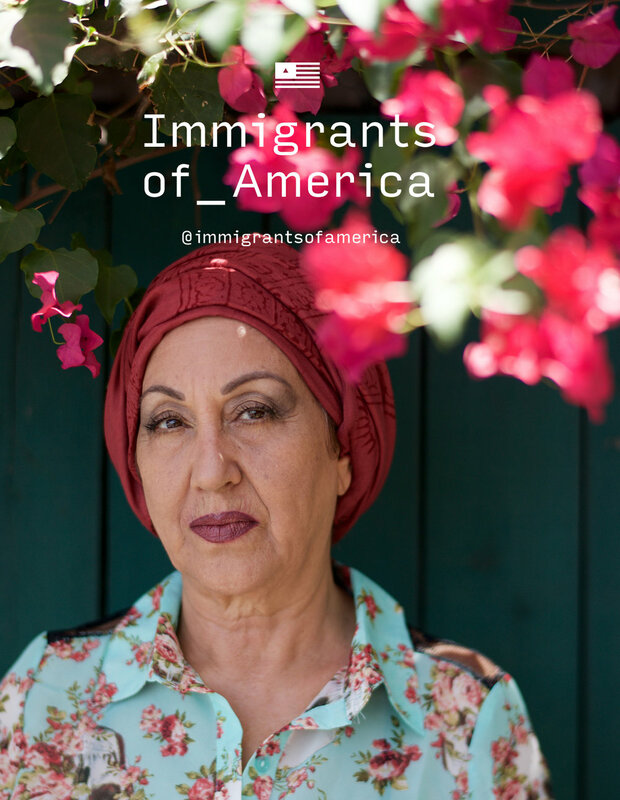 Writer, interdisciplinary artist, fourth generation American mutt, and three-time AF Alumna, Hanne Steen used the last Art of Freelance Course to launch her Patreon site for her ongoing photography and interview project @immigrantsofamerica, that she started over a year go with fellow AF Alum Zach Oren. The project tells the past and present immigrant stories of all Americans. In her words, "My aim was to attract support so that I could both sustain and expand the project." Hanne considers the Patreon launch a great success and the site continues to grow. Since the Course, she has expanded the project with the help of a few new people, including fellow Art of Freelancer Spencer Blackman, who is designing a visual mapping system for all the stories. The website is currently under construction, and she continues to keep the project running strong with the momentum she built with Art of Freelance to put out a minimum of three new interviews a week. "Art of Freelance inspires me, connects me, holds me accountable, and reminds me to celebrate my achievements. I wouldn't still be doing this work without it. This is a long-term project and it's a lot of labor, but it's something I really believe in, so I keep coming back to Art of Freelance for the guidance and support." "The greatest danger for most of us is not that our aim is too high and we miss it, but that it is too low and we reach it."